The Fremantle International Street Arts Festival is happening and it's going to be a big one in Freo across the Easter long weekend! 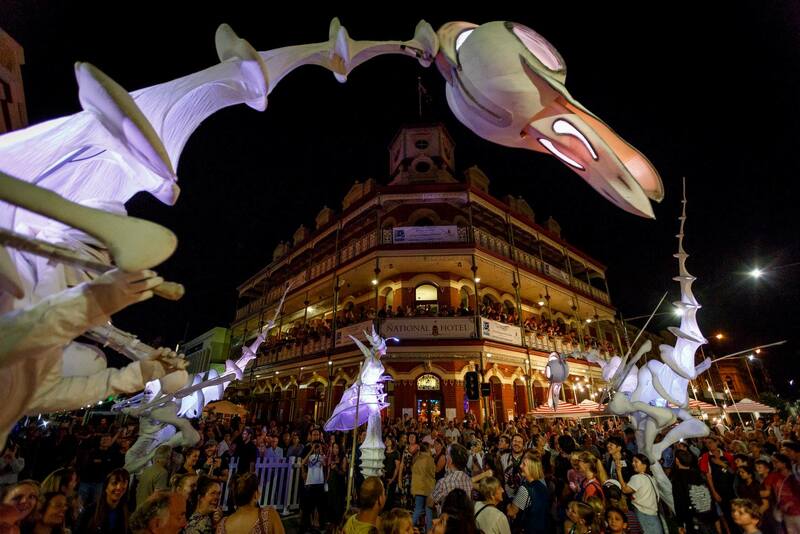 The historic streets of Fremantle burst to life as performers transform the city into a world stage every Easter. We will even have the main stage right out the front of the hotel with some great acts - named the National Hotel Pitch! So fuel the body for a big day - we will be open for breakfast (Saturday & Sunday), lunch, dinner or even just enjoy a post festival drink on the rooftop and watch the sun set on another sensational day in Freo!